For any relationship to last for the long haul both parties must be equally invested, as is the case with the celebrity couples below. A steady relationship is stressful and sometimes heartbreaking, how much more when a couple is constantly under the spotlight. These couples are examples of how to “have each other’s back” and to keep their love shining bright. Former Miss SA Bokang Montjane-Tshabalala is married to football star Siphiwe Tshabalala and the two have a three-year-old son named Owethu. The couple started dating in 2012 and tied the knot four years later. The driven and focused couple owns a kiddies clothing business, which, they say, was inspired by their son. Monna waka ke go rata ka pelo le moya... thank you for choosing me and my crazy ,strong, tough and over ambitious self each and every single day...thank you for doing this crazy thing called life and love with me... ?? If you think there’s such a thing as marrying someone too soon in the relationship, then think again. The Prince of Theatre, Atandwa Kani, proposed to actress Fikile Mthwalo just weeks after they’d met. Their relationship endured a lot of criticism but they beat the odds and tied the knot in 2015. 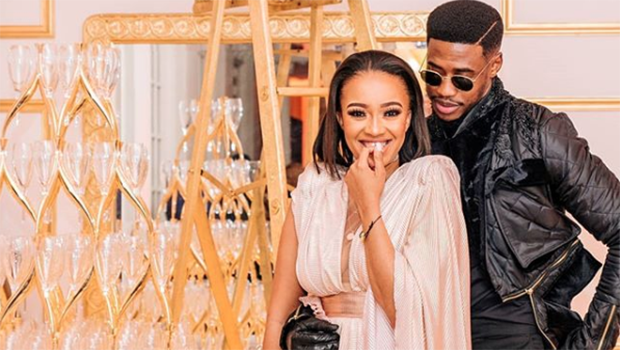 The two are known as SA’s favourite married couple for the hilarious videos they often upload online and how they always come to each other’s rescue on social media. Dineo and rapper Solo have been dating since 2012. Dineo has expressed how she had no ambition of dating anyone within the entertainment industry, but life had other plans for her. The pair is known for their fashion sense, and deservedly snagged the Stylish Couple award at the 2017 Style Awards. Last we checked, the tabloids reported the lovebirds would be trying the knot soon. For soccer star Reneilwe, it was Mpho’s voice that captivated his heart. Fortunately, he had friends who knew Mpho and asked them to hook him up. Mpho, on the other hand, wasn’t interested in dating a public figure and initially found Reneilwe’s advances irritating rather than sweet. To her own surprise, Mpho ended up falling for him because of his selflessness and kindness. The couple celebrated their traditional union in March this year. Reason and LootLove’s relationship didn’t start off on steady footing, what with all the hatred they received from black Twitter, but they proved love conquers all. We also love how Reason came out guns blazing to defend her when Twitter users concocted silly rumours. The couple has been dating for two years and he’s since penned a track entitled Top Seven in which he expresses his adoration for her. This couple initially kept mum about their relationship. Recently, though, they told TshisaLive they were not secretive about their romance but were rather doing what’s comfortable for them. In the same interview, Dash told TshisaLive he’s been dating the gorgeous Ayanda for over two years. The lovebirds met on the dance scene in 2007 and were friends before becoming lovers. Bontle and her rapper beau have been dating for nine years — something unheard of in celeb circles today! When asked about his relationship with Bontle, Priddy Ugly told People Magazine SA that honesty, supporting each other in everything they do and their selflessness has stood them in good stead. He described her as his best friend! Est. 2009 || 2 months ago, we completely forgot about our 8 year anniversary ??. 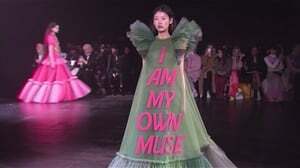 Oh well ????‍? ?, excuse us, we tend to lose track of forever... 2018 || The Year of 9 Photo credit: @thabo_lens ??? ?